This entry was posted in Mobility Problems and tagged bones, mobility problems for seniors, pain and swelling of arthritis on January 1, 2011 by Advanced Natural Wellness. Do you feel hot under the collar these days, but seldom under the sheets? Is your midsection getting softer by the day? Are your mood swings and night sweats enough to drive your partner to the couch? I know what you’re thinking: It must be menopause. 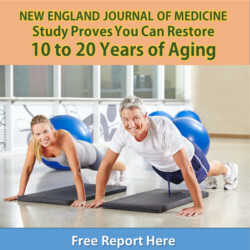 This entry was posted in Mobility Problems and tagged male menopause, mobility problems for seniors, pain and swelling of arthritis on January 1, 2011 by Advanced Natural Wellness.